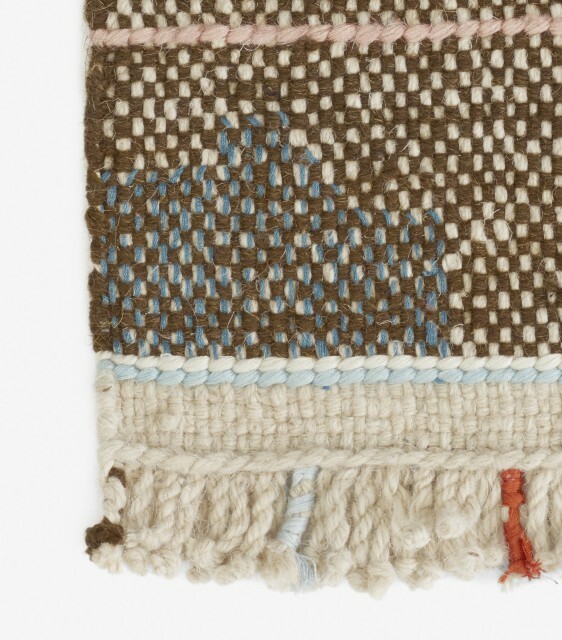 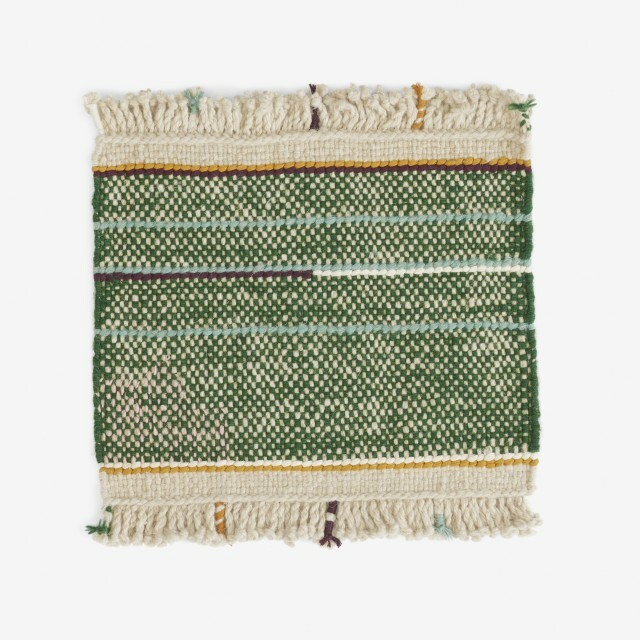 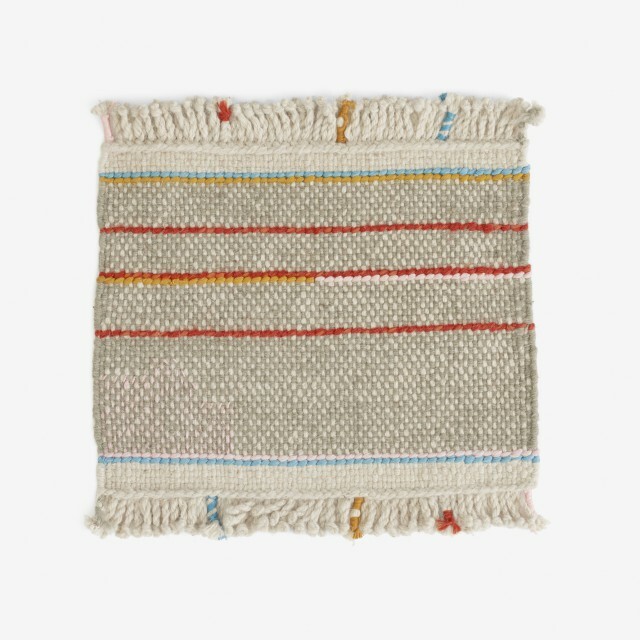 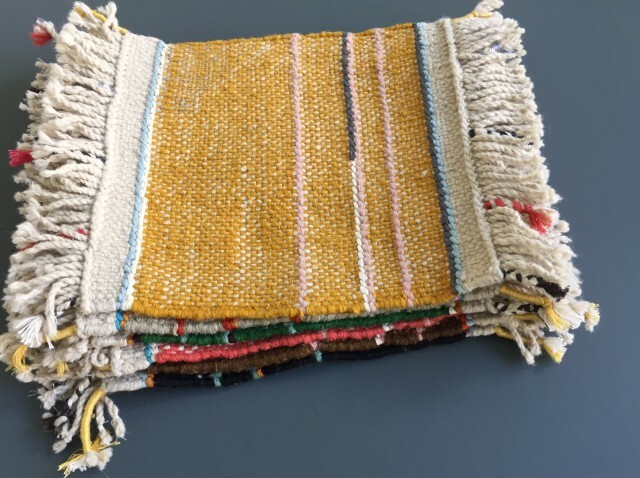 In a palette of six colours typical of Nepalese yarns, this kilim rug has been hand woven from special Tibetan wool from Argali – a wild sheep breed that resides in the Himalayan mountains. 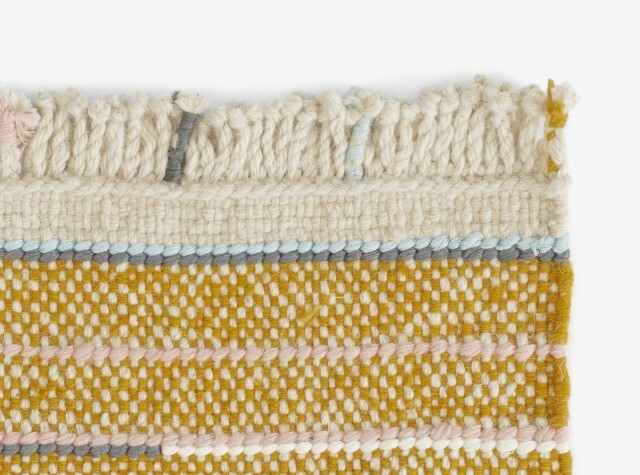 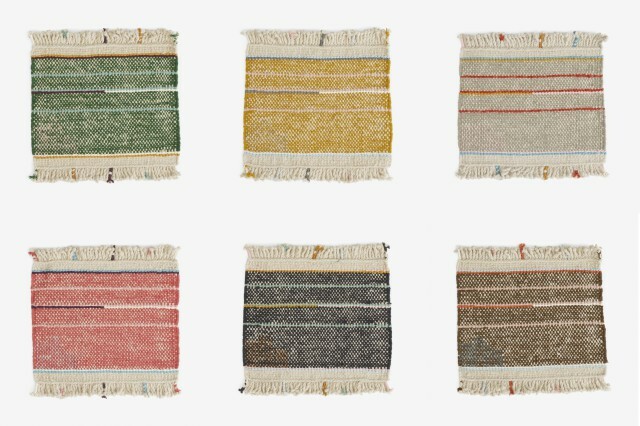 The yarns themselves have been handspun by local weavers, and their naturally faded colours and irregular character lend each rug a truly individual appeal. 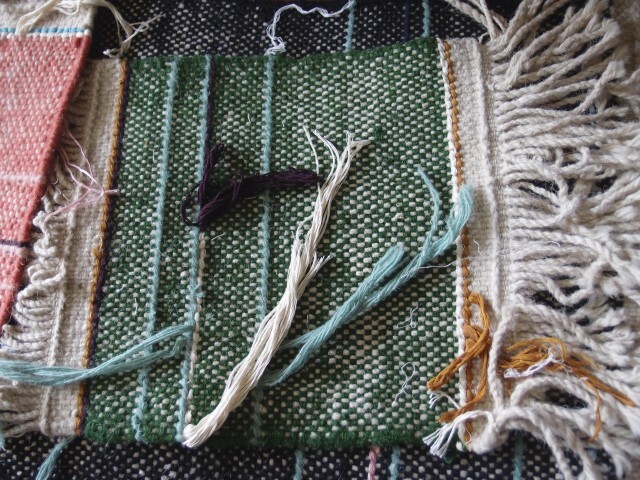 Each rug incorporates several design details, including a hand-embroidered area with silk yarn – a reference to an old tradition of repairing the rugs. 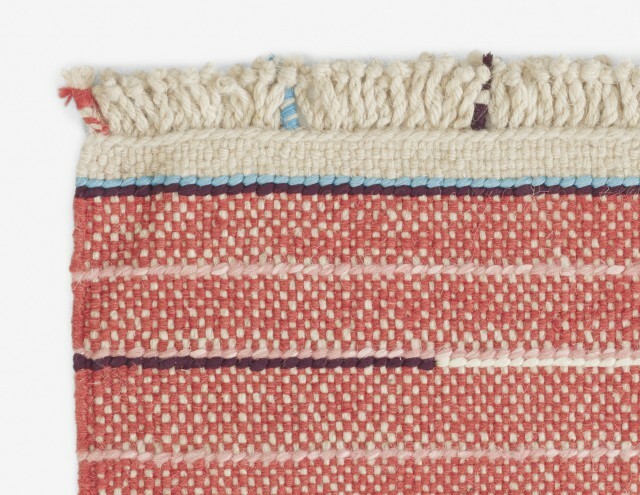 The fringes are braided, a practice that also refers to an old custom in Nepal – this for its decorative appeal.